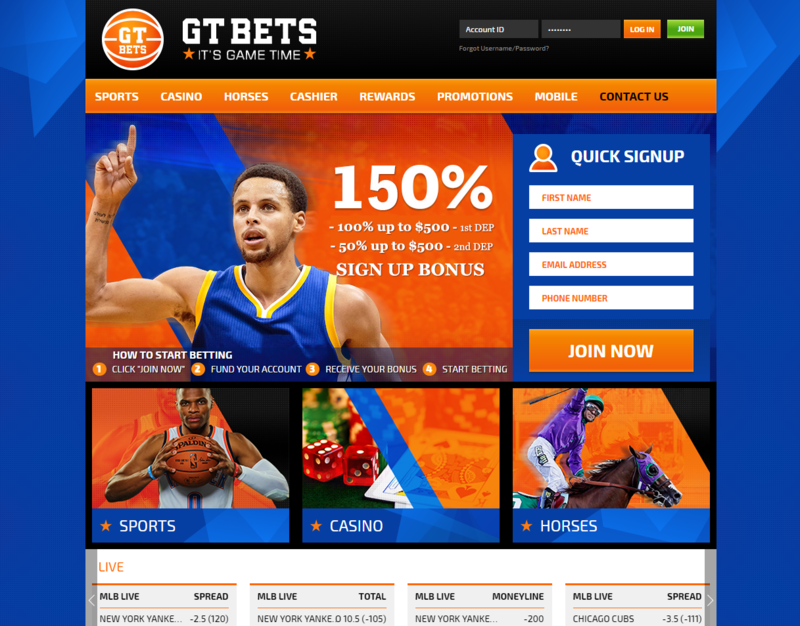 GTbets is a relatively new sportsbook on the US market. In the world of online gambling, newcomers have to offer their potential customers something amazing in order to convert them, and GTbets is one of those sportsbooks; they already created a great buzz around their services. When it comes to deposits, GTbets offers a wide variety of tools to their customers. You can make a deposit with Master Card, Visa, American Express, and Bitcoin, for US-based players. Every deposit is free of charge. Minimum deposit for all methods is $35, while the maximum depends on the player status, in most cases. With Bitcoin, you can deposit up to $10000. If you want to withdraw your winnings, you can do that with wire transfer and Bitcoin. Bitcoin withdrawals are free of charge, fast and reliable. However, you can make only one request per week. Minimum withdrawal via this method is $300, while maximum is $5000. If you want to make a withdrawal by using a wire transfer, you have to pay $60. Minimum withdrawal is $100, while maximum is $5000. You are entitled to one withdrawal per week as well. Bitcoin is much faster than wire transfers, too. You can wait up to 12 business days for wire transfer, while Bitcoin transfers take up to 48 hours. If you request a second withdrawal during the week, you will be subjected to the 5% fee, up to $60. GTbets made a complete makeover in 2016, and since then, their interface has become one of the best in the US. They use a combination of orange, blue and black, so it’s really easy to navigate through the menus. At the top you can find the main menu, betting markets are located on the left hand side, while bet slip is on the right hand side. Mobile site design is similar, and very easy to navigate. They have apps for Android and iPhone. GTbets odds and limits are within industry standards. They are not leaders in any category, but they aren’t falling behind either; they are decent. Minimum bet is only $1, and they are casual bettor friendly. Like we said in the beginning of the preview, GTbets is one of the sportsbooks that made their name by offering amazing promotions and bonuses, especially for the new customers. The first deposit bonus is 100%, up to $500, which is the offer you will rarely see on US-based sportsbooks. Reload bonuses start at 5%, but can go up to 50%, which is also among the best offers in the industry.